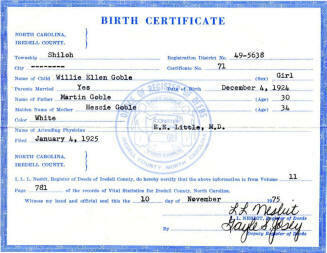 Willie Aleen Goble Loftin was the ninth child of Martin Luther Goble and Beulah Vernesta Johnson. She was born December 4, 1925. Martin & Nessie lived in several rented houses in Iredell County, including the Henry Setzer house. Willie only remembers seeing/meeting her grandfather, Jacob Goble, one time. She and Helen saw a very dark skinned man coming down the road and Helen hollered, “Daddy, here comes a black man!” It was actually Martin’s father, Jacob. Martin, himself, was extremely dark skinned from all the time he spent outdoors. Willie remembers the family visiting her Uncle Henry Pinkney Johnson Jr., her mother’s brother, and his wife, Beulah, as well as her Uncle Ode and Aunt Becky, Martin’s brother and sister. Uncle Hen only had one leg. Willie recounted to her son, Curtis, how as children they would mix chocolate and sugar together to make "play" snuff and use a stick as a tooth brush for dipping their fake snuff. Willie's father, Martin, dipped snuff and chewed tobacco. Once when Willie & Helen asked to try some snuff, he decided to give them a "dip". Helen got sick and when Willie laughed her her, Martin encouraged Willie to get a little bit more - and to swallow a little of the juice. Well, that was enough to make Willie sick, too. She never dipped snuff after that. Willie said that since the family were share croppers, they had to buy some of what they needed from the local store on credit. She said that once the crop came in (usually cotton), the first bill Martin would pay was the fertilizer bill - then the grocery bill. The family would sell eggs to the store for extra money. Willie said that breakfast usually consisted of ham (or sausage), eggs and grits. She said Martin would buy a big sack of pinto beans and that they usually ate beans and "taters" (sweet and regular) at lunch (called "dinner") and then cornbread and milk for supper. The Goble family raised hogs and thus they had ham, sausage and bacon. They also raised chickens but those were used mostly for eggs. Martin supplemented the family meals by hunting and trapping - rabbit, squirrel, cooter (a North American river turtle) and possum. There were no refrigerators in those days and the Goble family didn't even have an ice box. They did have a smoke house where they would hang meats to cure. The younger girls all slept in the same bed - as did the boys. The children only had two sets of clothes - field clothes and school clothes. Just as soon as they would come home from school, they'd take off the school clothes and put on the field clothes. Dresses were made from colorful flour sacks. When baby sister Doris died at the age of 9 months in 1934, the family had to borrow appropriate clothes for the children for the funeral. 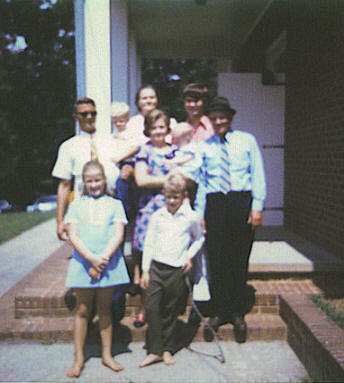 When the family lived in Iredell County, they went to Sharon Lutheran Church. That's where baby brother Lewis was buried, as well as Estellene, Doris and the other Goble children who died in infancy. Most only had a rock to mark their graves. Eventually Willie's parents, Martin & Nessie, would be buried at Sharon Lutheran Church, too. Martin decided to move his family from Iredell County to Catawba County. They loaded their meager belongings into a horse-drawn buggy, crossed the Catawba River, and moved into Pump Alley’s old house on (Pump) Alley Rd. (about 0.1 mile on the right), just off of Sherrills Ford Rd. near Catawba, NC. It was a small 3 room house. The kids all slept in one bedroom - in two beds. They didn’t have mattresses for the bed and slept on straw ticks. When the straw became flattened, it could be replaced. Lib, Helen and Willie & Elgevia slept in one bed, while Legs, Harlee & J.C. slept in another one. 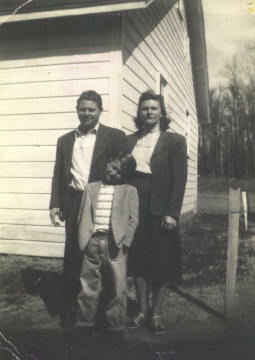 Willie was the next to the youngest child and thus had different responsibilities at home. 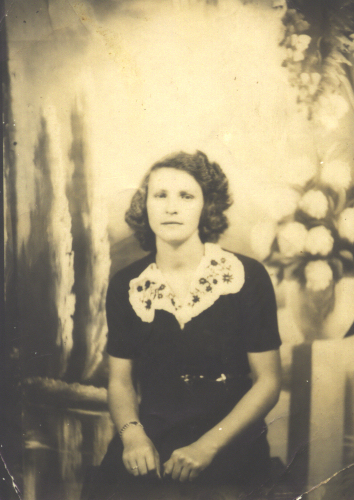 While J.C. (age16), Harlee (age 14), Lib (age 11) and Helen (age 8) were working in the cotton fields, Willie (who was 7 at the time) was helping her mother at home, and also helping to look after Elgevia, who was 4 at the time, as well as baby, Doris. 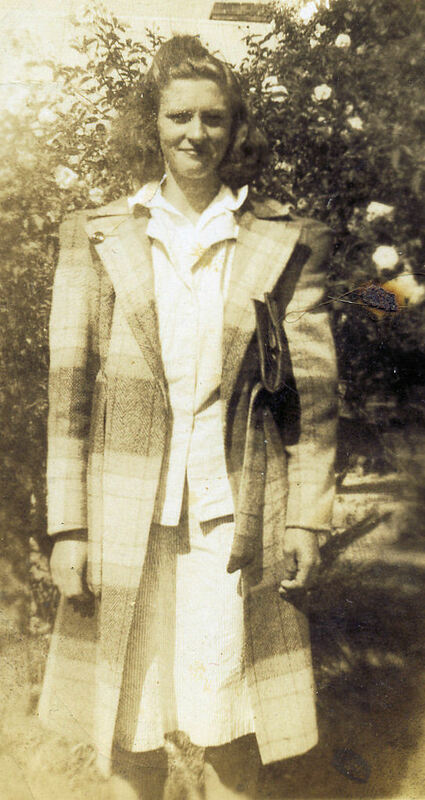 James/Legs was 20 and married at the time. 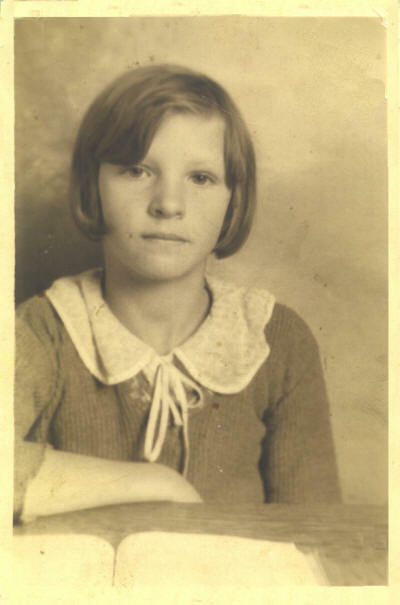 Willie didn't work in the field when they lived in Iredell County because she was too young. She helped her mother look after Gevia and Doris. 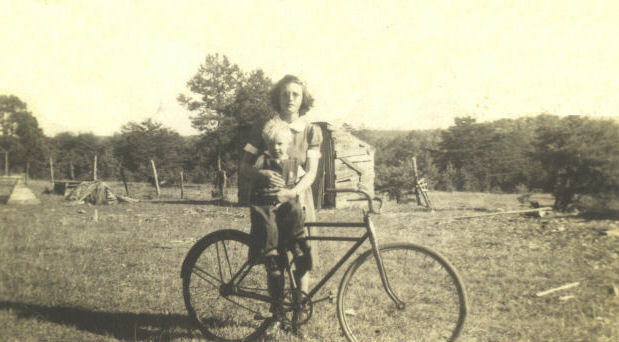 Once they moved to Catawba County, she did spend time working in the fields, too. Their major crop was cotton. 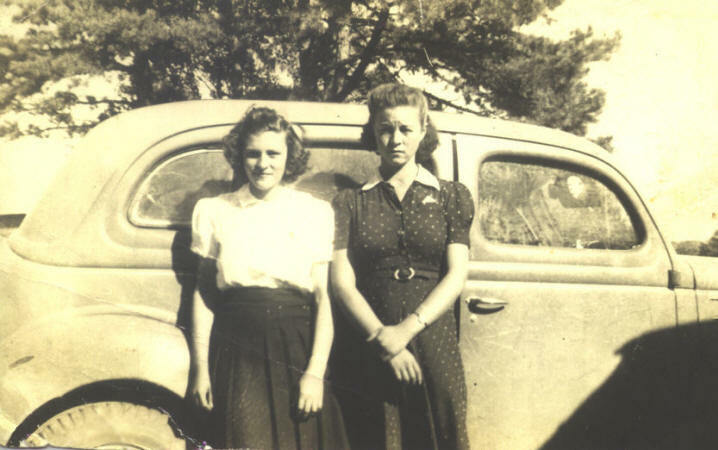 Willie said that as a little girl, she and her cousin Fannie Bunton, daughter of Marvin & Becky Goble Bunton, were the favorite nieces of her Uncle Otis Goble, Martin’s brother. Once he gave her a little rocking chair and didn’t give the other nieces or nephews anything - maybe because there were so many of them. When asked what type of games they played, Willie said they would make hats with leaves and sticks. They'd take an old tire and roll one of the kids in it. She said they also make playhouses in the woods. They'd rake the leaves to make rooms and hallways. 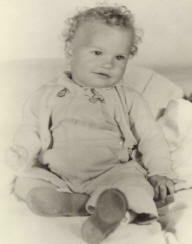 Willie’s baby sister, Doris, was born 31 October 1933 and died 04 August 1934. 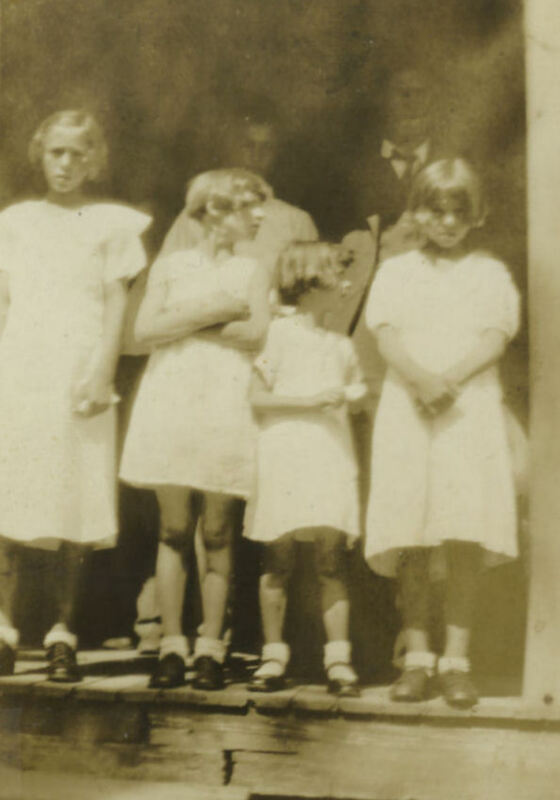 The photo at left shows Lib (age 13), Willie (age 8), Elgevia (age 5) and Helen (age 10) at the church for Doris’ funeral. They were a poor family and had to borrow clothes for the girls to wear to the funeral. Willie was in third grade when the family moved to Catawba County. Willie and Helen both played basketball in the 7th and 8th grade at Balls Creek Elementary School. In the 7th grade, Willie won some socks for being the best on the team. Willie and Elgevia both played guard and Helen forward. Willie and Helen eventually quit school in 8th grade to go to work. Helen could get by with anything with Daddy. We were sliding on the ice when we were kids, and Daddy asked me, "Willie, were you sliding on the ice?" Then he asked Helen, "Helen, were you sliding on the ice?" She said, "Yep!" He whipped me and didn't whip Helen. When I asked him "Why'd you whip me and not her?" He said, "You lied to me!" Willie said the children would sometimes go to Ebenezer Lutheran Church with Mrs. Pump Alley, a neighbor. She also said that she, Helen and Lib would walk to Center Methodist Church during revivals. Their brothers didn’t go with them and usually the Rudisill boys would walk the girls back home. After a short while, Martin moved his family into the old Murphy Jones house because it was a little larger. Murphy Jones was Edna Jones Loftin’s brother. Edna became Charlie Loftin’s wife. This house was also located on Pump Alley Rd. (about 0.8 mile on the right). Willie lived there when she dated and married Sam. This was the only two-story house in Catawba County that the Goble family ever lived in. Willie said they could not sit or lean on the beds in the house. She said most of their clothes were made from flour sacks. When they came home from school, they had to pull off their good clothes and shoes. They usually wore the same set of clothes all week and only had one pair of shoes. The children went barefoot almost everywhere except to church. 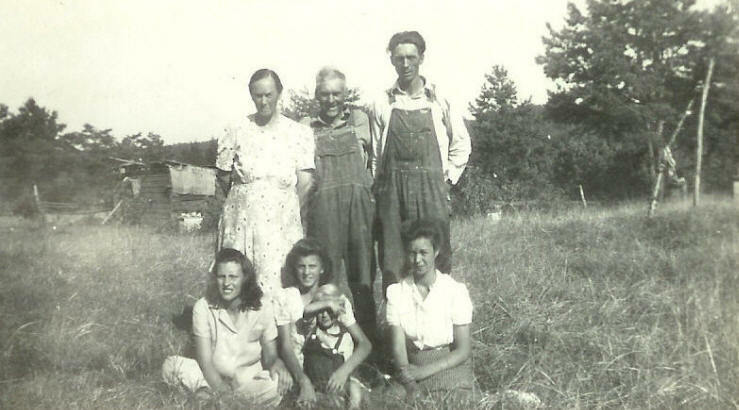 Living on a farm and feeding so many kids was sometimes challenging. Willie said they lived on what they raised on the farm and bought on credit, then paid the debt after the cotton was sold. She said they ate chicken, ham and fat-back. Corn meal mush was a regular staple and since they lived in a rural area, they frequently ate squirrel, rabbit, possum and cooter (terrapin). They would also buy big sacks of pinto beans when. Willie said that if they were seriously ill, they call on Dr. Fred Long. He as the cheapest doctor around and refused to raise his prices when encouraged to do so by other doctors. Dr. Fred bought possums from her Dad and was probably a usual barter for Dr. Fred's services. On one occasion while Willie and Helen had been working in the field hoeing rows of cotton, they ate too many green apples and got sick. “Daddy let me quit working, but he made Helen keep on hoeing”. 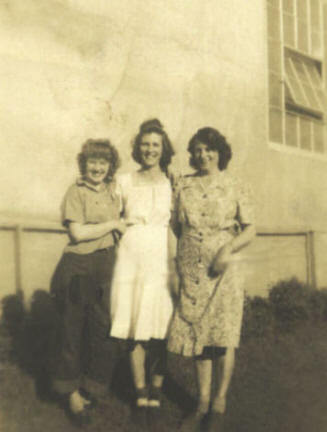 Willie and Helen both went to work at Betterware Hosiery Mill in Catawba when Willie was 15 and Helen was 16, boarding socks. You had to be 16 to work, so Willie lied about her age so she could get the job. Willie and Helen were hard workers. Willie said she dated several boys as a girl but never single-dated - she always double-dated - usually with Helen. Willie said they never really went to movies, but usually just rode around in the car. Some of her early boyfriends (but nothing serious) were Sam Tuddero and brothers Heman & Harry Sullivan. Willie said she liked both brothers who were from a prominent family in the community. When asked how she first met Sam, Willie said she had gone to Speedo’s store, just down the road from where the Martin Goble family lived, to buy some candy and Sam was working there. This was Speed’s 1st store, and was located in the corner of Lowrance Rd and E. Bandys Rd, at the entrance to Mathis Chapel Church Rd. She said, “He gave me a LOT of candy for the money. 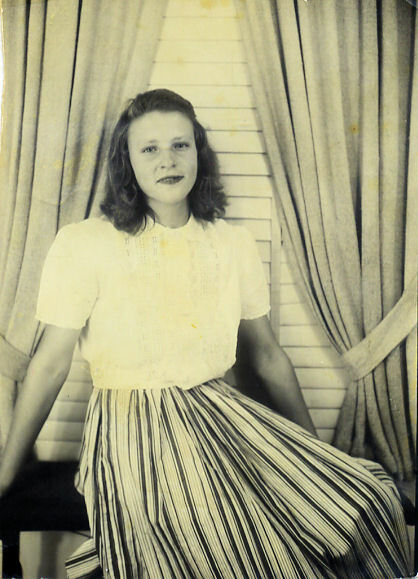 He told a neighbor, Ms. Trimm, that he was “gonna date that girl, Willie" … that "she was pretty". Willie always said Sam was the best looking man she had ever met. Willie said she was a “good girl” and never single-dated Sam before they were married. Everyone wasn’t interested in seeing Sam and Willie get together. Lib, Willie’s sister, asked Sam, "Why do you want to marry her? She can't even cook!" He said, "That’s OK! I can teach her how. I can cook!" Willie said that one evening her Daddy, Martin, came home drunk. He found Sam’s flashlight, that he had left at the house and said he was gonna break it. Helen said, “Daddy, don’t break that flashlight. That’s not Sam’s flashlight; it’s mine.” Martin favored Helen, and thinking the flashlight was hers, didn’t break it. 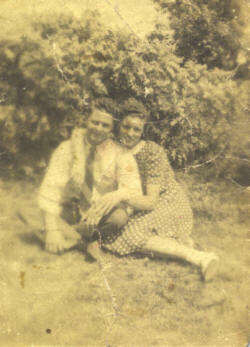 Willie and Sam were married on March 21, 1942. They eloped to York Co, South Carolina. Willie was 16 and Sam was 23 at the time. 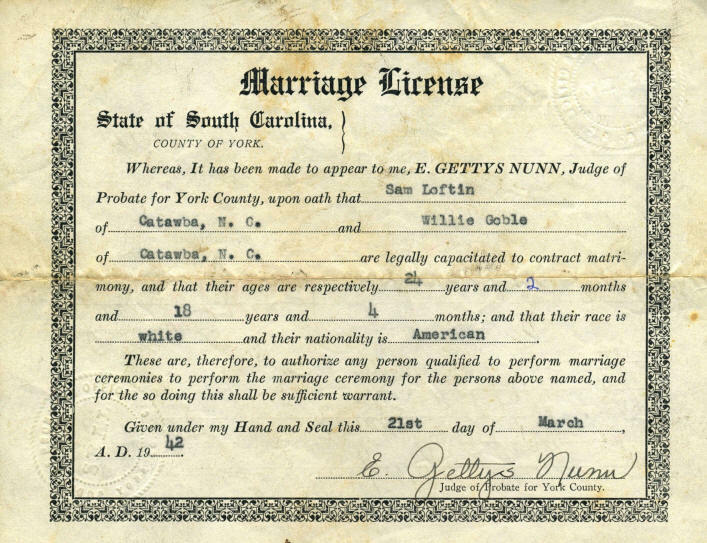 They lied about their age in South Carolina in order to get married. Willie said she was 18 years & 4 months - she was actually 16 years and 3 months. Sam said he was 24 years & 2 months - he was actually 23 years & 10 months. Floyd Sigmon and Helen, Willie’s sister, went with them. After they were married, Sam & Willie moved into the small 2-room house on the corner between East Bandy’s Rd & Sherrill’s Ford Rd. 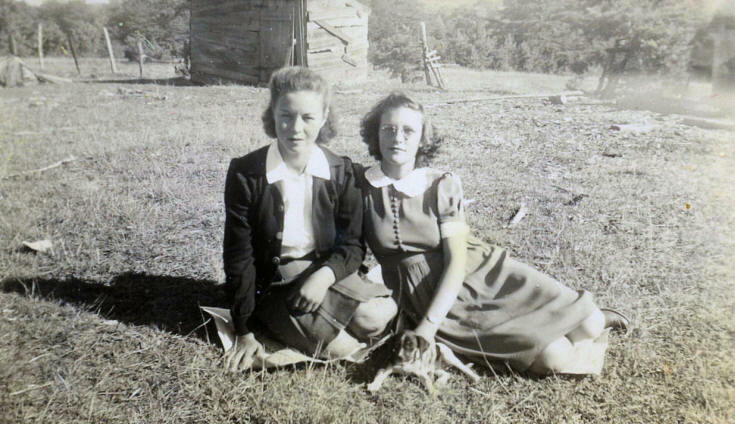 that belonged to the Loftin family - beside of Ida Loftin (Sam's mother). The house only had a kitchen and a bedroom, but Sam did buy Willie a new bedroom suit when they moved in. Sam built their kitchen table and bought a second-hand wood stove and cabinet for their dishes. There was no water in the house and no bathroom. They had an outhouse nearby but they had to pump water at Mrs. Loftin’s house and then carry it back home to use in the kitchen. They didn’t have electricity or a refrigerator. They used a horse and buggy to go from place to place, visit parents, siblings, etc. A year-and-a half later, Willie became pregnant with Billy Ray. 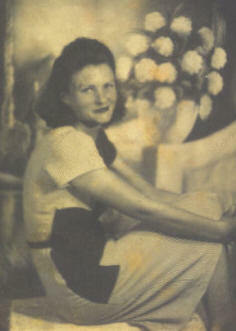 She and Sam had been visiting with her Mom & Dad on Christmas Day 1943 when it started to snow. While there, Willie went into labor and Sam had to go get his brother Mike’s car in order to drive her to the hospital in Newton. Because of the snow, others in the family had to push the car, including Floyd & Helen. Willie’s mother, Nessie, joined her as Sam attempted to drive her through the snow to the hospital. 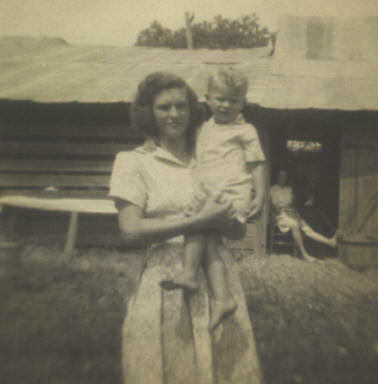 From her parents home (Murphy Jones place) they drove toward the old Gold Mine, near what is today called the Mathis Chapel Rd., in order to stop by their little 2-room house and pick up some clothes for Willie. From there, they turned back on E. Bandys Rd. heading toward Charlie Loftin’s Home, as well as the home of Floyd & Helen Sigmon. When they got to the bottom of the hill, the snow was so heavy & high, the car couldn’t make it up the hill. Eventually Sam went and got horses from Roy Setzer to pull the car up the hill, as they continued to the hospital in Newton. They had left home about midnight but didn’t get to the hospital in Newton till 7 a.m. the next morning. 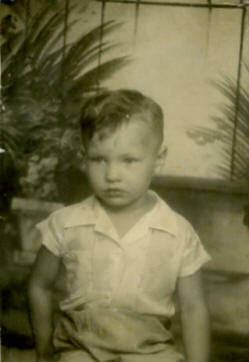 Billy Ray was born over 12 hours later on December 26, 1943 around 10 P.M. Eventually Sam bought 40 acres of property on Dexter Path, just off of Shiloh Church Rd. from Fred Gibson’s father. Sam purchased the property, then cut and sold the timber there to pay for the property. 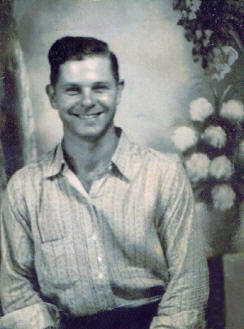 Sam worked at Russ Campbell’s sawmill at the time. He used Russ’ horses to pull the logs that he had cut off of the property. He also used some of the timber to build a house for him & Willie. Willie at the first house Sam built on Dexter Path, off of Shiloh Church Rd. Billy Ray was just a couple of week old when they moved into their first new home. In the beginning, there was no water in the house. Willie had to walk to a nearby stream to wash their clothes, and also had to carry water to the house for drinking and cooking. In time, Sam would dig a well close to the house. They had no indoor toilet facilities, so Sam built an outhouse on the property. There was no electricity to the house, so they had to use candles and oil lamps in the evening. 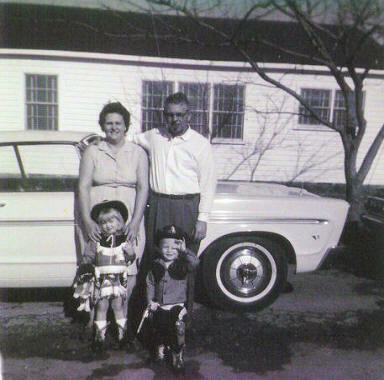 Sam and Willie got their first car while they were living in this home - although Willie didn't learn to drive until she was 53 years old. While living there, Willie started boarding socks 2nd Shift (3:00 to 11:00). Sam also planted a large cotton crop. Willie would hoe cotton and work in the garden during the day and board socks in the evening. When Sam wanted to put in another cotton crop the second year, Willie told him “No”. She told him she’d hoe cotton or work in the boarding room…either one…but not both. 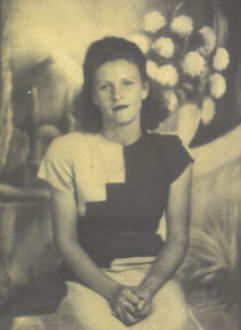 Willie’s sister, Elgevia, also lived with them for a short period of time. Occasionally Sam, Willie & Elgevia would go to dances at Genevia & Lester Gibson’s. Genevia kept Billy Ray for a short time when he was a baby. 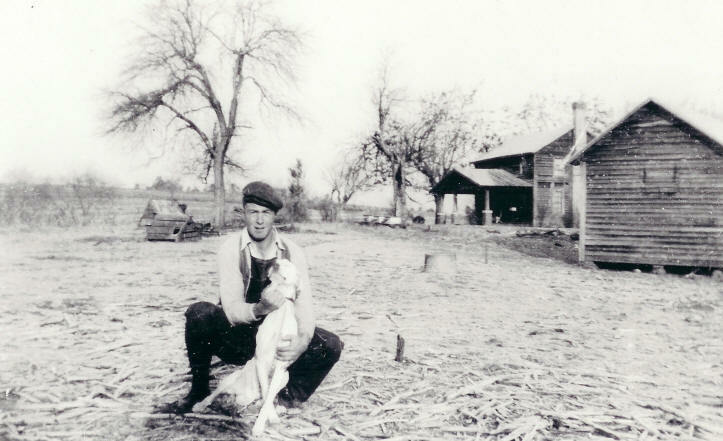 Sam and Willie still used their horse-and-buggy while living on Dexter Path, but Sam eventually bought a 1935 model used car. 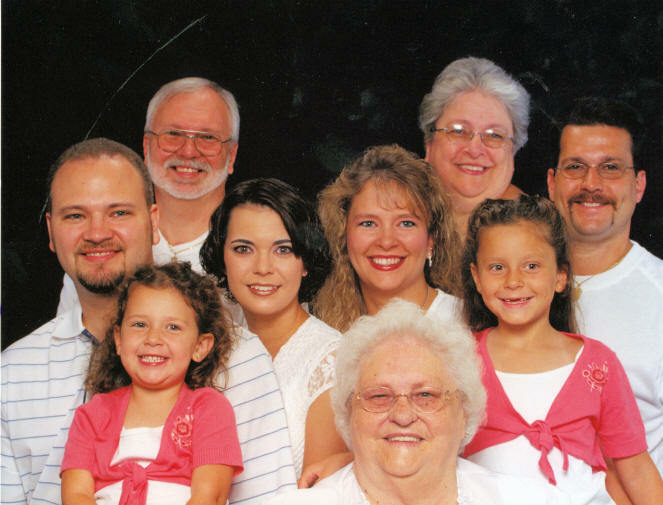 The Loftin family had deep roots in the Balls Creek Campground. When the large Loftin family would get together for the Autumn event, they’d have to use two tents because of all the kids and grandkids. Alonzo & Ida Loftin’s tents were 69 and 70. 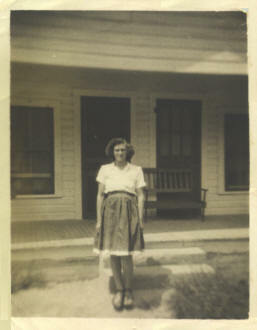 Sam’s sister, Frances Cook, inherited 69 from her parents. Sam built a tent for Willie and himself down close to the spring and “Shack” area - around 116. Sam eventually sold this house on Dexter Path and purchased some property on E. Bandy’s Rd where he built their second house. Sam built a bathroom in this house and even installed a shower in the basement. Sam and Willie started off with about 30 acres, but eventually bought 30 more, and even more after that. He also built another building on the property that became a beer joint. In June 2011, Willie recalled how on one occasion Sam had gone to Charlotte with Charlie on business. He had promised to bring her back a new dress. When he got back home, he didn't have the dress, but instead had bought some liquor - and he himself was drunk. Willie helped Sam onto the bed, but neighbor Ms. Trim had seen the commotion and came down to see what was going on. She kept Ms. Trim on the porch and tried to convince her that everything was OK - embarrassed that Sam was drunk and afraid that Ms. Trim would hear him. After Ms. Trim left, Willie asked Sam why he hadn't bought her the dress like he had promised. He said he didn't have time. She told him, "You had enough time to buy that liquor" and in a moment of anger, Sam slapped her. Willie packed her bags, took Billy Ray, and went home to her mama and daddy. When Willie's dad, Martin Goble, heard what Sam had done, he talked to Sherriff Ray Pitts. The Pitts had provided the illegal slot-machines in Sam's beer-join, but Sherriff Pitts told Sam's he'd better never slap Willie again - that if he did, he had a mule whose reigns would fit Sam's hand (In other words, he was threatening him with "hard time" on the chain-gang). Willie said Sam never touched her in anger ever again. The second house & beer-joint Sam built on E. Bandys Rd. Sam was making a lot of money from selling beer at his beer store & bar and was able to buy Willie a new electric stove, new refrigerator and even a new deep-freezer. They also purchased their first living-room suit while living at E. Bandys. Also while living in the house on E. Bandys Rd, Sam & Willie got “saved” and turned the beer joint into a grocery store. Sam had gone to William Guins’ to buy some chickens and William invited Sam & Willie to a revival at Mathis Chapel Baptist Church. Willie got saved first, then Sam. The Loftin family had been Methodist for many generations, but after their salvation experience, Sam & Willie joined the Baptist Church. According to Willie, she & Sam owned the first TV of anyone in the area. 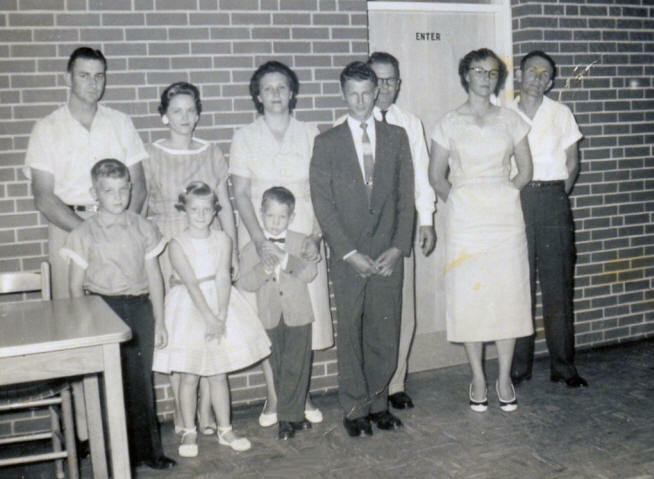 Every Saturday night, Fred & Emmer Mathis (who donated the timber for the original Mathis Chapel Baptist Church building, where Sam & Willie attended) would come over to the grocery store to watch TV. 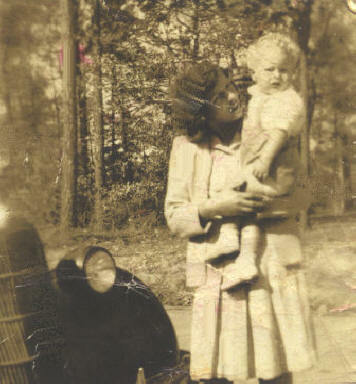 Many of Sam and Willie’s family lived in the surrounding Bandy’s community, including Willie’s parents (Martin & Nessie Goble) and Sam’s mother (Ida Loftin). Sam’s brothers Charlie, Oscar and sisters Sadie Lee, Allie Lee and Frances Cook all lived nearby. 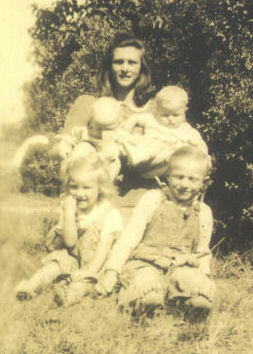 Willie’s sisters Helen Sigmon and Lib Isenhour, as well as brothers James and Harlee all lived within a few miles of Sam and Willie’s home on E. Bandys. Elgevia and Bill even lived in the former beer-joint and grocery store at one time. It was also during this time that Sam purchased about 40 acres, that he eventually sold to Lloyal Deal that would become Sugar Farm. Sam’s brother, Oscar, built a home and lived in the Sugar Farm area. Willie became pregnant again when they were living on East Bandy’s Rd. She was helping to push a car during the snowy winter, fell, and miscarried as a result. Eventually she would become pregnant the third time. Sam & Willie were still living in the house on E. Bandys Rd. 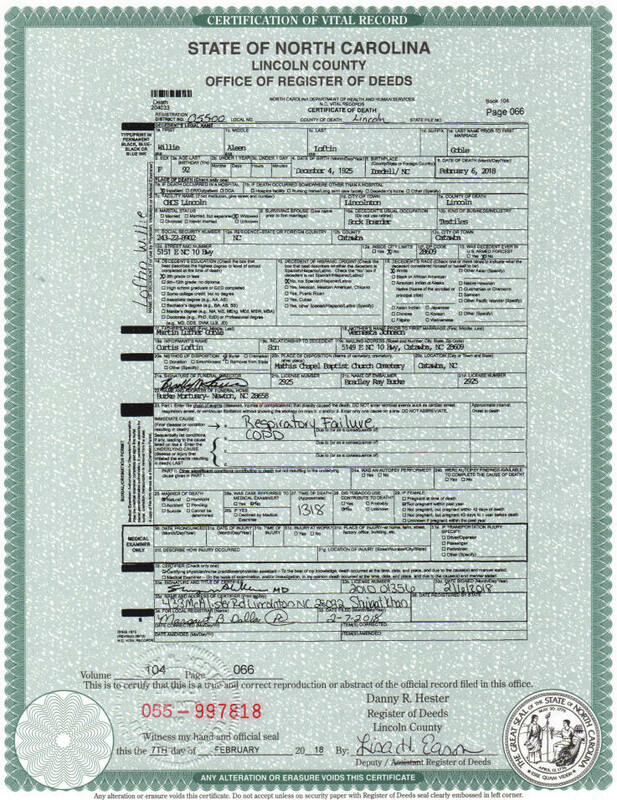 when Curtis was born in May of 1953. Sam contracted to build a house on Hwy. 10, just out of Catawba, for his cousin Glenn Loftin’s oldest son. When the house was completed, the boy wasn’t able to get his loan to pay for the house, so Sam decided to sell the house on E. Bandy’s Rd. to Carson & Velma Pool and move his family to Hwy. 10. The year was 1954. The Hwy. 10 house had two bedrooms, a kitchen, an inside bathroom, a living room and a den. Sam eventually built an inside back porch for a washing machine. 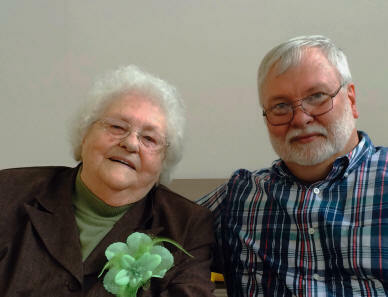 Willie had used a scrub board for washing clothes when she was first married, but now she had a electric washing machine, and it had a “ringer”. She’d hand-feed the sopping-wet clothes through the “ringer” and all the excess water was pressed out. The family had no clothes dryer, and all clothes were hung up outside on a clothes line to dry. Families seldom locked the doors to their homes when they went off - or even at night. Cars were never locked. 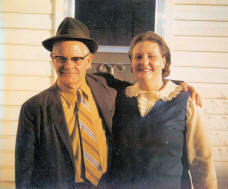 Willie and Sam had two children (Billy Ray and Curtis), six grandchildren (Beverly, Billy, Eric, Crystal, Beth and Philip) and eleven great-grandchildren (Brandon Kale, Nicholas Loftin, Channing Loftin, Matthew Loftin, Luke Loftin, Grace Loftin, Anthony Bergin, Justin Bergin, Savanna Seese, Alexandria Seese and Kayli Loftin). Willie spent most of her life boarding socks. In the 1970s, Willie stayed at home with Sam because of his declining health. 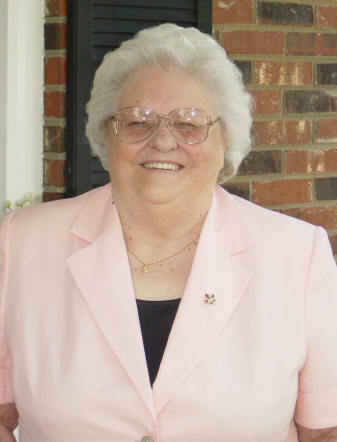 After his death, she went to work at Catawba Middle School in Catawba as a custodian. She was 55 at the time. She stayed at Catawba Middle School until she retired at the age of 63, but she didn’t stay retired for long. She eventually went back to work at K-Mart in Conover as a "Greeter". She stayed at K-Mart for 7 years, until she was 70. When Willie told her Doctor that she was going to retire from K-Mart, he told her he thought she should continue working. She told him, “I’m 70! How old do you have to be before you can retire? !” He agreed with her and dropped the subject. Willie "sneaked" and opened up one of the Christmas presents she was suppose to get from Curtis & Carolyn for Christmas. When they found out, they decided to play a joke on her and recorded this video. This video of Willie will make you smile as you remember her sweet and pleasant personality. After Willie’s retirement, she continued to stay active - visiting family, driving to church, and going daily to the Senior-Citizen’s site for lunch daily. Willie continued to live by herself until November 2016. During the course of that year, she had 10 falls - several of which required her to go to the hospital. She broke several ribs on one fall, and had many bruises and contusions. In November, Willie told Curtis that it was time for her to go into a nursing home and ask him to make arrangements for her. Curtis and Willie talked about it and the decision was made for her to go and live at Cardinal Healthcare in Lincolnton. Willie resided at Cardinal for almost 15 month. Willie's Declining Health: On Friday, 26 Jan 2018, when Curtis arrived at the Cardinal Health Care at 1:00 p.m. for a visit with Willie, he found that she was having difficulty with her breathing. They usually had her oxygen levels set at 2L but they had already turned it up to 3L and even 3.5L. Curtis requested that Willie see her doctor, Dr. Radu. Dr. Radu diagnosed her with Respiratory Distress and said he felt she needed to go to the hospital. Willie was transported to Carolina Health Care in Lincolnton. Curtis & Carolyn met the ambulance at the hospital as Willie was taken into the Emergency Room. The Emergency Room doctor ordered several tests. X-Rays showed that her lungs were clear and that she showed no signs of pneumonia. They also ruled out a blood clot. Emphysema was the final diagnosis. Willie never smoked but Sam did - for many years. Her breathing difficulties stemmed from second-hand smoke. Willie was moved to Room 206. Carolyn and Carolyn went home for the night. FACEBOOK POST: Tuesday, 30 Jan 2018 - Mom's not doing too good right now. Her CO2 (Carbon Dioxide) levels were 70 when she first went into the hospital last Friday. They're not supposed to get above 40. When the nurse checked her CO2 levels today, they were 110. The nurse told me she had "never" seen anyone with CO2 levels that high. She is wearing a "Bi-Pap" mask - trying to force the CO2 out of her body. A C-Pap forces oxygen "into" your body - a Bi-Pap forces oxygen "in" and CO2 "out. She can't take some of her meds because she can't swallow, so they're not giving her food, and just a "little" water. They don't want anything to go down into her lungs. It levels do not improve, they will need to move her ti ICU - where nurse-patient ratio is 1-to-2 instead of a regular room where the ratio is 1-nurst-for-5-patients. Continued prayers appreciated. FACEBOOK POST: Wednesday, 31 Jan 2018 - Mom's situation for today is only slightly improved. They have her oxygen set at 5L instead of her usual 2L. She's allowed to eat today but she has no appetite. She's not happy with her circumstances or the Bi-Pap - which is hard on her care givers. Continued prayers appreciated. FACEBOOK POST: Thursday, 01 Feb 2018 - When I talked with Mom's nurse this morning, her CO2 levels were down to 38 - which was very good. The nurse told me that Mom was doing well. She ate some turkey and dressing today. Her blood-sugar was a littl high but meds brought it down. Her heart rate was a little high, but meds also helped to regulate it. The nurse said Mom had been pleasant today - not always the case when Mom is sick. The nurse also told me there had not been a need for Mom to war the Bi-Pap that day because ehr CO2 levels seemed to remain less than 40. Mom's doing a lot of sleeping - which is good for the healing process. She'll stay overnight in the hospital and I'd be surprised if she went back to Cardinal tomorrow. FACEBOOK POST: Saturday, 03 Feb 2018 - Mom slept the entire time we were with her. She was using her Bi-Pap and her hands were constantly moving as she slept. I didn't know she was so restless when she slept. I talked with her nurse and was told that she did well last night. Today, she's awake and "fussing". The nurse said that was a good thing knowing that she slept most of the day yesterday. She ate today. I hope her appetite improves. Monday, 05 Feb 2018: When we arrived at the hospital today, Mom's blood-pressure was 69/42. They doctor had ordered "nothing by mouth", not even her meds. They did have a "drip" going into her arm. The nurse told me, "You need to spend time with her today". Carolyn called Beth and Philip, as well as my sister-in-law Diane, who called her son Eric. Beth, Philip, Diane and Eric joined us at the hospital. We held Mom's hand and prayed with her. She tried to talk but we really couldn't understand what she was saying. By 12:35 p.m. her blood-pressure had dropped to 61/35. Dr. Goupta told the nurses to keep her comfortable and to give her morphine if needed, only feed her if she asked for it. Sometime shortly after that Dr. Finney informed us that she hemorrhaged when she had a bowel movement. Family-Life-Pastor Nathan Groom from Covenant Church in Lincolnton and Pastor Travis Triplett from Mathis Chapel Baptist Church in Catawba County came by to talk to the family and to pray with us and Mom. As evening approached, Carolyn and I encouraged Beth, Philip, Diane and Eric to go on home - that we planned to stay over-night. Tuesday, 06 2018: Carolyn and I went home to get a shower and change clothes. When we got back, Hospice came to talk with us and let us ask questions. Around 12:30 we signed the papers for Hospice to work with Mom. Mom was sleeping, so I settled down to read my Kindle. About 1:13 a nurse came rushing into Mom's room with a stethoscope - checking for Mom's pulse. She had passed away quietly, while she was sleeping. FACEBOOK POST: Tuesday, 06 2018 - Cousins, Family and Friends, I wanted to let you know that Mom passed away today at 1:13 at Carolina Health Care in Lincolnton. 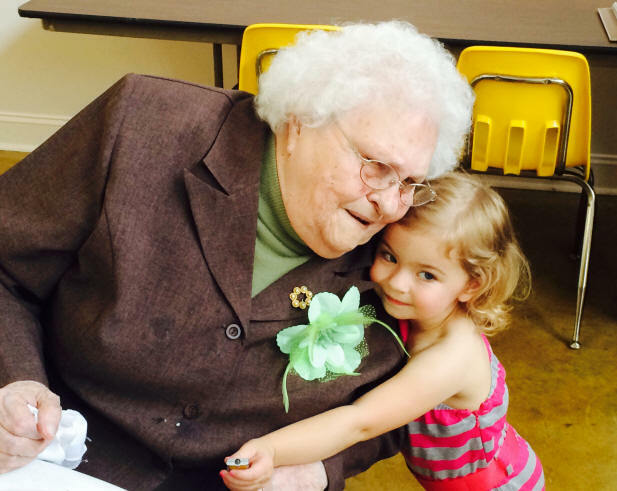 She passed peacefully and had been asking the LORD to take her for years. It is a difficult time for family, but I know she was ready to do. Willie Aleen Goble Loftin passed away on 06 Feb 2018 in Lincolnton, Lincoln County, NC, as a result of old age and COPD (Emphysema/Respiratory Failure). Even though Willie never smoked, her husband Sam did. 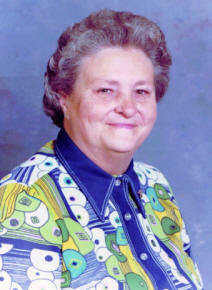 [CATAWBA, NC] Willie Aleen Goble Loftin, age 92, of Catawba, NC, passed away Tuesday, 06 Feb 2018, in Lincolnton, NC. Born 04 Dec 1925 in Iredell County, NC, Willie was the daughter of the late Martin Luther Goble and Beulah Vernesta "Nessie" Johnson Goble. Willie started "boarding socks" in a local hosier mill when she was 15 and worked in that industry until she was in her 50s. At the age of 54, she became head custodian at Catawba Middle School and worked there for 9 years blessing everyone with her friendly smile. 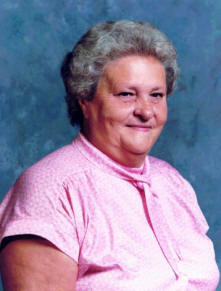 After retiring from Catawba Middle, Willie went to work as a Door-Greeter at K-Mart and worked there until she was 70. 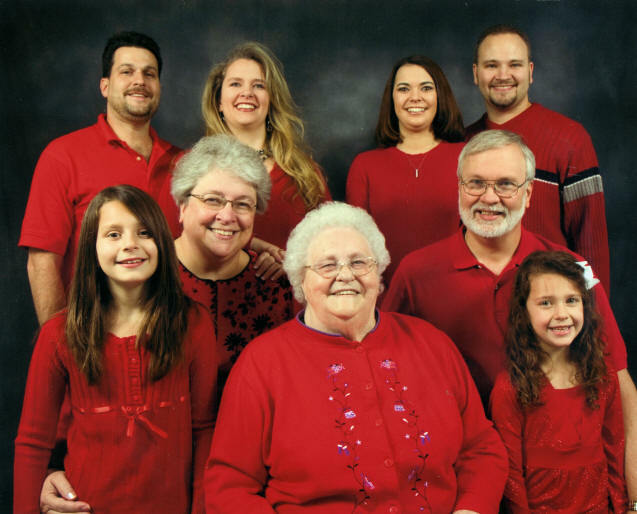 Willie loved reading her Bible, reading Christian romance, listening to the Gaither Homecoming videos, working puzzles and spending time with her family. 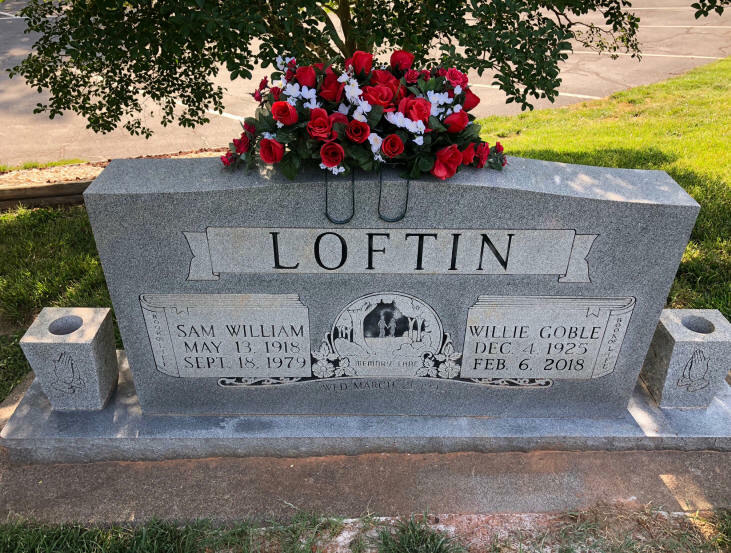 In addition to her parents, Willie was preceded in death by her husband of 38 years, Sam William Loftin; a son, William Ray Loftin, Sr.; and 11 siblings, Mae Johnson Baldwin, Ethel Goble Sharp, Lewis Goble, James "Leggs" Goble, J.C. Goble, Harlee Goble, Fannie Elizabeth "Lib" Goble Isenhour, Mary Helen Goble Sigmon, Estelene Goble, Doris Goble, and 3 unnamed siblings who died in infancy. 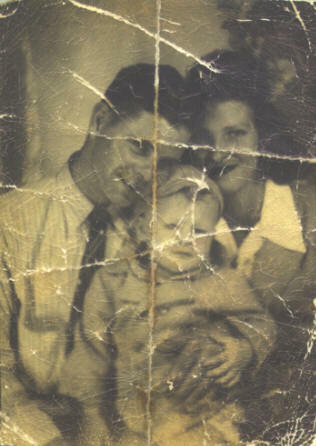 Willie is survived by a son, Curtis Loftin and his wife Carolyn of Catawba; a daughter-in-law, Diane Self Loftin of Conover; a sister, Elgevia Goble Eggers and her husband Bill of Maiden; 6 grandchildren, Beverly Loftin, William Ray Loftin Jr. and his wife Kay of Conover, Chief Eric Loftin and his wife Suzanne of Conover, Crystal Loftin Huffman and her husband Chad of Granite Falls, Beth Loftin Seese and her husband Bradley of Conover, and Philip Loftin and his wife Leslie of Newton; 11 great-grandchildren, Brandon Kale, Nicholas Loftin, Channing Loftin, Matthew Loftin, Luke Loftin, Grace Loftin, Anthony Burgin II, Justin Burgin, Savanna Seese, Alexandria Seese and Kayli Loftin; 2 great-great-grandchildren, Aiden Kale and Dawson Burgin; numerous nieces and nephews. There will be a receiving at Burke Mortuary in Newton on Thursday, 08 Feb 2018m from 5:30 to 7:30 p.m. Funeral services will be conducted at Mathis Chapel Baptist Church, 1786 Mathis Church Rd, Catawba, NC 28609 on Friday at 2:00 p.m. with Pastors Travis Trip and Paul Schronce officiating, followed by graveside services. 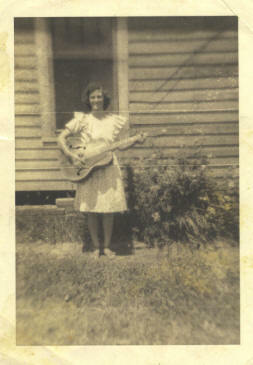 TRIBUTE To Willie/Mama: (By Curtis Loftin) My "Mama" was absolutely awesome. She was truly one of those people who loved the LORD and loved her family with all of her heart. Mom was one of the younger children in her family so she was one of the few who worked in the house along side of her own mother while the older children worked out in the fields. 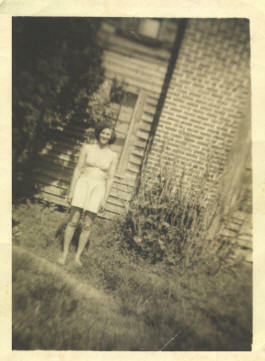 She loved to share stories about her family when she was growing up. She was a good wife who worked and took care of Daddy when he was no longer able to work. 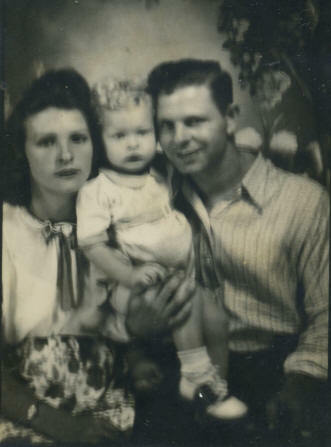 She nursed him tenderly until the day he died in 1979, when she was 54. 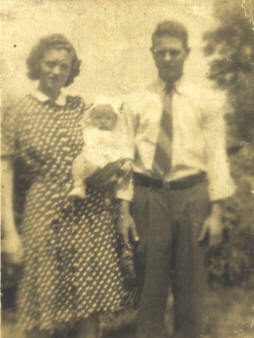 Mom & Dad kept Grandpaw (Martin Goble) for many years, until Dad got sick and she couldn't look after them both. 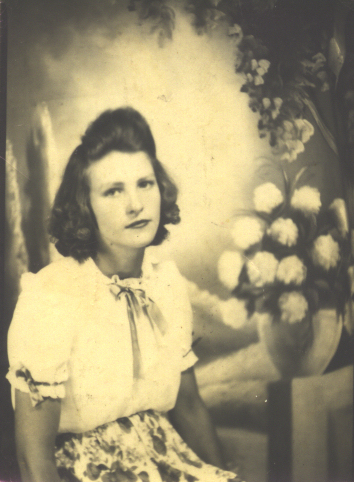 Mama was a "giver" and would go without so that she could give to her kids and grandkids. She was truly a "cheerful giver". 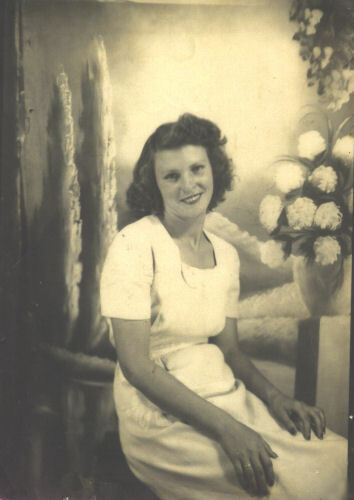 Mama loved to pray and always remembered her family in her daily prayers - petitioning the LORD when she knew there was a spiritual or physical need in their lives. 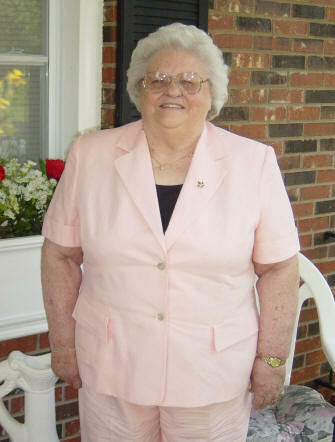 She loved preaching and gospel music (especially the Gaither Homecoming series) and was faithful to her church (Mathis Chapel Baptist Church where she was a charter member) from the time she got "saved" until she was no longer physically able to go. She went to church with Carolyn and me at Covenant Church in Lincolnton for four years before she asked me to place her in a nursing home. She knew she needed the additional help, but I often felt she asked to go - just so I wouldn't eventually have to make that decision myself. She was just like that - always looking out for me. Even in the nursing home, she went to all the preaching and singing events there. 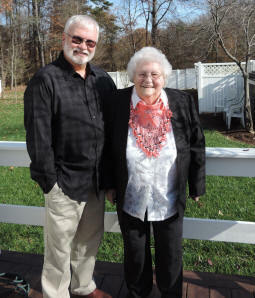 I lost Daddy when I was 26 and am thankful that the LORD let me keep Mama until I was 64 - what a blessing. 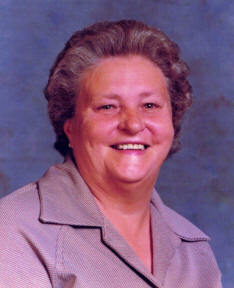 But I do miss her - and I know I always shall - until we're reunited in Heaven. I love you, Mama. Jacob Hedrick Goble, for the first (and only) time. 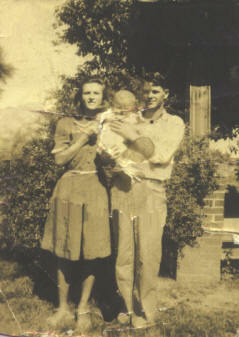 Otis Goble, Rebecca Goble Bunton and Henry Pinkney Johnson. 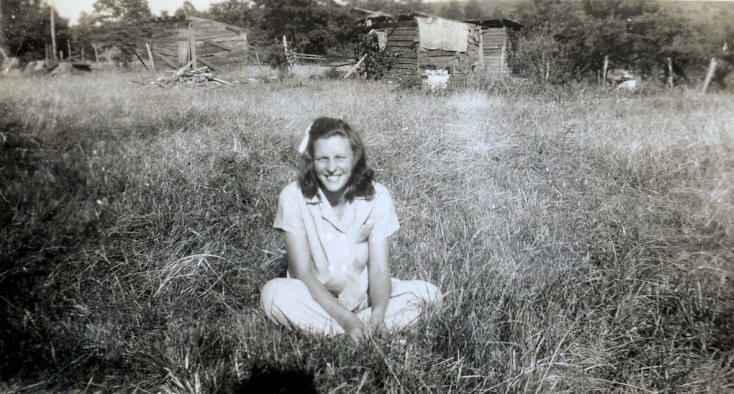 Sam's cafe & beer joint, her first job and farm life in the early 1940s. moving to their house in Catawba and Sam's numerous property holdings. and the three beer joints (belonging to Sam, Mike & Speedo). for Billy Ray's birth and learning to drive. 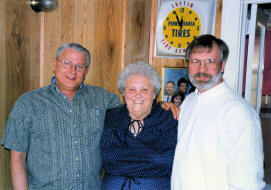 Thanks to Brenda Isenhour Schronce for sharing Grandma Nessie's photos. 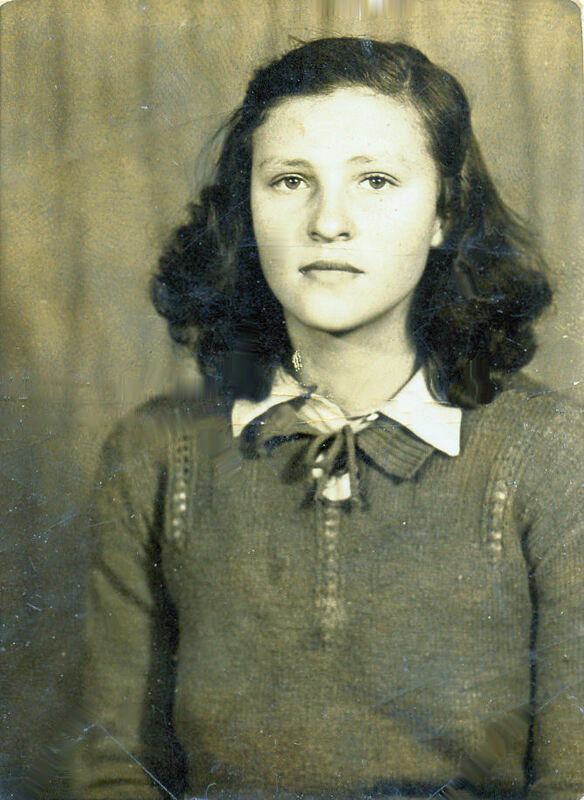 There were photos of Mom that I had never seen. Thanks to Diane Goble for sharing the link for the news article on Judge Eddie Nunn. If you have additional photos or information on Willie Aleen Goble Loftin, please contact me. 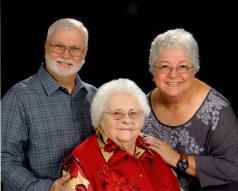 A special thanks to Willie Aleen Goble Loftin and Brenda Isenhour Schronce for the photos of Willie and her family.